“May the fourth be with you” was a common greeting at Student Activities and Programs (SAP) and Campus Recreation’s May the Fourth celebration, which took place on May 4, of course! The two departments teamed up to bring the campus community a jam-packed evening of entertainment and “Star Wars” themed fun. To kick off the celebration, Bronco Commons was transformed into a carnival with various rides including a Ferris wheel, a bounce house and a towering slide that could accommodate three people at once. 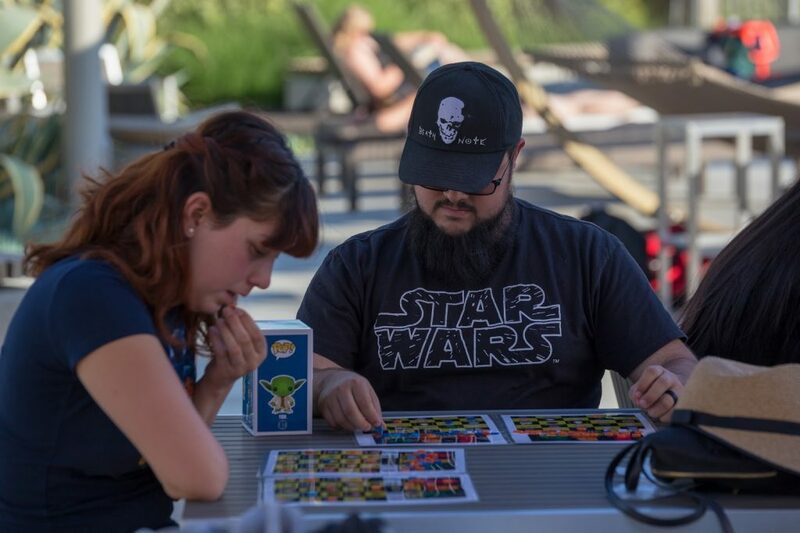 Students also had the chance to try their luck at “Star Wars” themed bingo at the BRIC poolside lounge. Second-year hospitality student, Victoria West deemed this activity as her favorite part of the event, even though the force was not with her during the rounds of bingo she played, and she did not end up with a prize. “They had really popular [Funko Pops] like Rey, Leia, C-3PO,” she exclaimed. To keep up with all things ASI, follow us on Facebook, Twitter, Instagram or Snapchat @asicpp!